"The blood dances... moves from gem to gem, coloring the back of each with a line of crimson- forming a picture. Breath locks in my lungs and I wait for the lines to connect... wondering what the end result will be this time. Hoping it won't be her again." 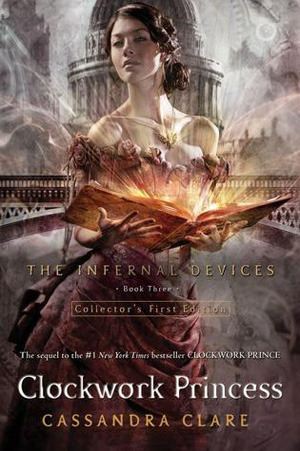 So much love for this series and Morpheus! This was the first year I participated in Reading Challenges and I had so much fun doing it! I learned that I read a lot of Vampire books and that I also read a lot of random paranormal books. I pretty much underestimated how much I would read in relation to the challenges. I also read a lot more New Adult than I expected to, probably because I have come to love it so much. 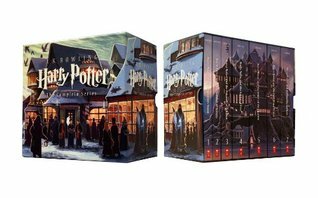 So below you will find a recap of all the challenge books I read this year, and at the very bottom there is a giveaway. I am giving away a copy of one of the books I read for a challenge this year (so basically you have your pick of any of the books listed above) to one winner. Welcome to day five of the Top 10 of 2013 event hosted by Two Chicks On Books, Fiktshun, and Magical Urban Fantasy Reads! 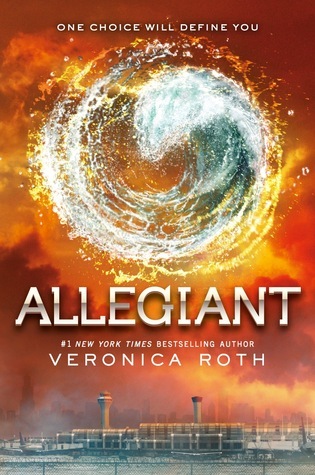 Today we get to feature the books we are most anticipating in 2014. There is no particular order here. 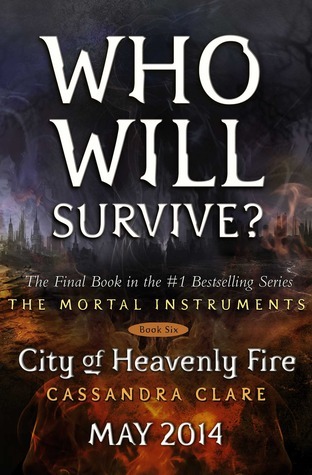 City of Heavenly Fire by: Cassandra Clare: We have invested five books in this series now and are dying to see how it all wraps up! Magnus and Alec need to survive! 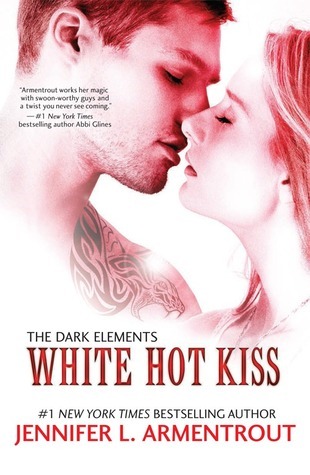 White Hot Kiss by: Jennifer L. Armentrout: We love JLA and gargoyles are fun! 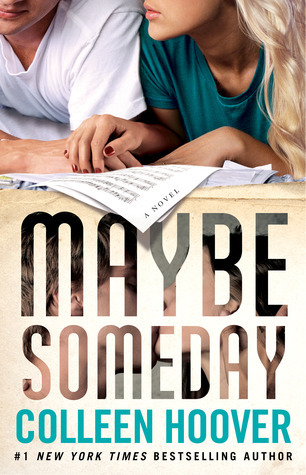 Maybe Someday by: Colleen Hoover: Colleen Hoover is a writing goddess! Breakable by: Tammara Webber: We love Lucas and are so excited we are getting to read from his POV! 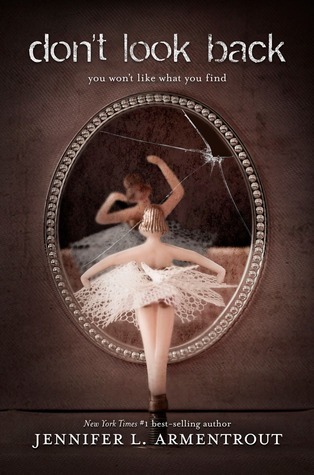 Don't Look Back by: Jennifer L. Armentrout: Again... we love JLA. 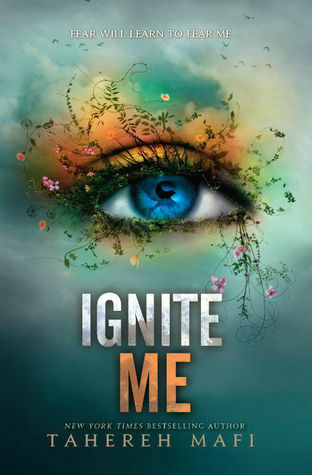 Ignite Me by: Tahereh Mafi: This one is a Teresa pick since Nicole has not started this series *glares at Nicole* I am dying to read this book! Team Warner! Opposition by: Jennifer L. Armentrout: This is our favorite JLA series and we are so sad it is coming to a close, but so excited to see how it wraps up. Fall From India Place by: Samantha Young: Another Teresa pick *more glaring at Nicole*. We all know I adore this series... so yeah. 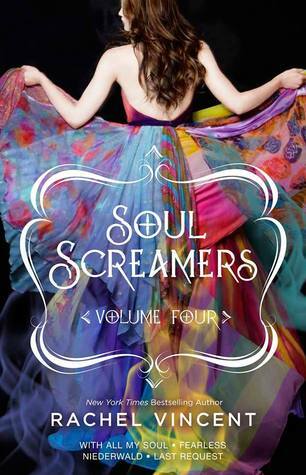 Soul Screamers Volume 4 by: Rachel Vincent: We love Tod and even the promise of just a little bit more from him in a novella is enough to make us crazy with anticipation. Some Like It Wild by: M. Leighton: Another Teresa pick since Nicole is a slacker. This is my favorite series of Michelle's and I cannot wait! 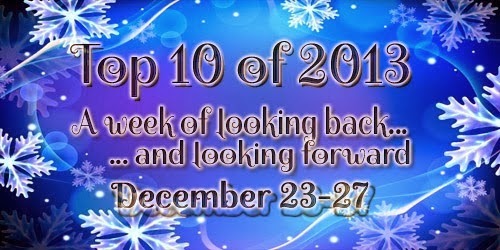 Welcome to day four of the Top 10 of 2013 event hosted by Two Chicks On Books, Fiktshun, and Magical Urban Fantasy Reads! 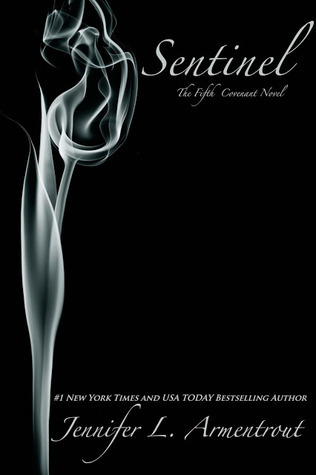 Today we get to feature our favorite book boyfriends of 2013. We all know how I love my book boyfriends! Like last year, I decided not to feature an author more than once. Also there is no particular order here. Will Herondale (Clockwork Princess by: Cassandra Clare): I love this boy so much I have a quote from him tattooed on my back. Therefore, he gets to top the list! Braden Carmichael (Castle Hill by: Samantha Young): I love that this novella came out this year because it means I get to feature Braden again! He will forever be one of my favorites. Love my caveman! Jesse Walker (Near & Far by: Nicole Williams): Jesse is one of the very best book boyfriends! He is such a good guy and I just adore him. Also... painted on jeans! 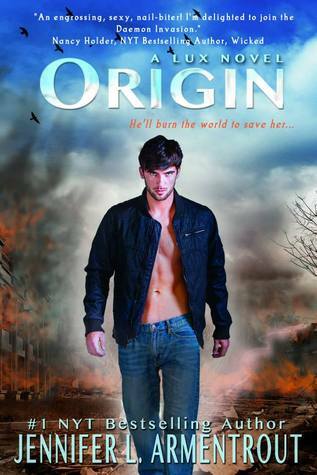 Daemon Black (Origin by: Jennifer L. Armentrout): Daemon will always be one of my top book boyfriends. I just love his snarky attitude but how he is also a sweetheart. Will Cooper (This Girl by: Colleen Hoover): Will Cooper owns my soul! 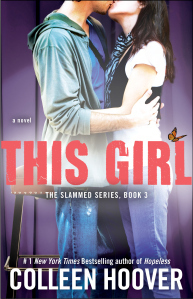 He stole my heart in Slammed and with each book he just takes even more! Gabriel Vincent (If You Leave by: Courtney Cole): I fell in love with Gabe very quickly and over the course of the book that love just grew. He was such a wonderful guy and I loved him. 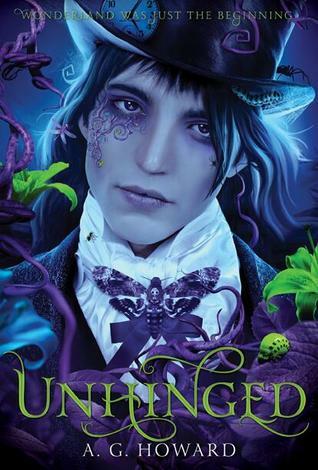 Trick Henley (Wild Child): I'm cheating a bit here since Trick is a secondary character in this novella, but I really love him and I wanted to include him so there! Tod Hudson (With All My Soul by: Rachel Vincent): He is perfect... The end. Daemon Black (Origin by: Jennifer L. Armentrout): He is such a smartass but genuinely a sweet and caring person as well. Hunter (Obsession by: Jennifer L. Armentrout): Even though he is a jerk, he will do anything for the people he cares about. 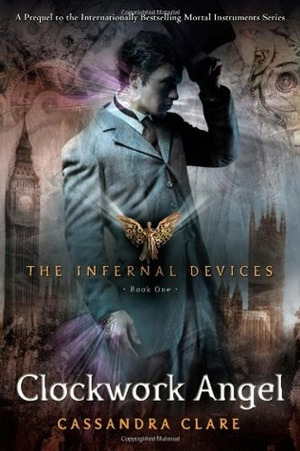 Will Herondale (Clockwork Princess by: Cassandra Clare): Underneath his mask, he is so nice and lovable. Kyler (Frigid by: J. Lynn): I don't know... I just like him a lot. Zach (United We Spy by: Ally Carter): Despite everything he has been through, he is strong, caring, funny, and a good person. Who were your favorite boyfriends of 2013? 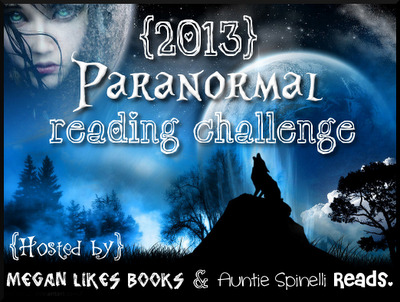 Welcome to day three of the Top 10 of 2013 event hosted by Two Chicks On Books, Fiktshun, and Magical Urban Fantasy Reads! Today is blogger's choice so I have decided to feature my favorite couples! The list below is in no particular order. 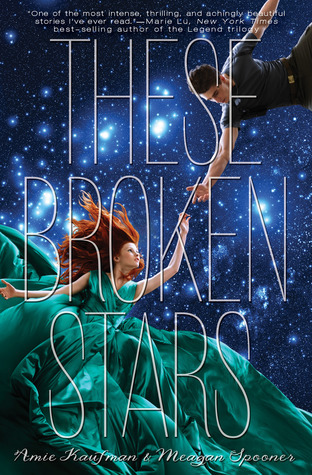 Lilac and Tarver (These Broken Stars by: Amie Kaufman and Meagan Spooner): These two are probably one of my favorite couples ever! I just loved their dynamic and how their relationship grew. There was no insta love here and they just made a great pair. 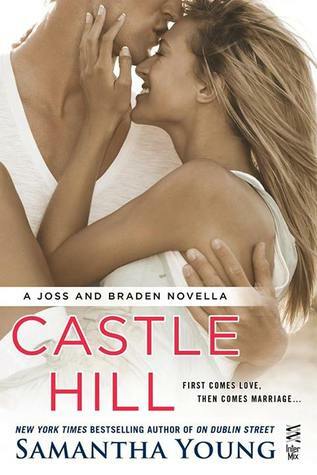 Joss and Braden (Castle Hill by: Samantha Young): Hehe see what I did there?!?! 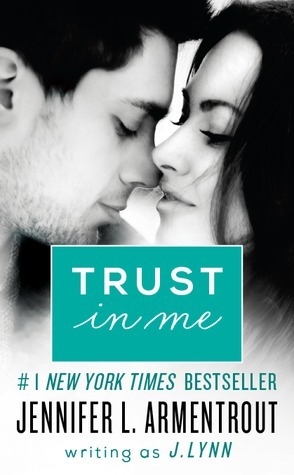 I get to feature Joss and Braden because we got a new novella! These two are so fantastic together and easily my favorite couple ever! Braden is wonderful and he just knows Joss so well.. they just compliment each other perfectly. Will and Tessa (Clockwork Princess by: Cassandra Clare): This book is showing up a lot this week, but I just loved it so much! 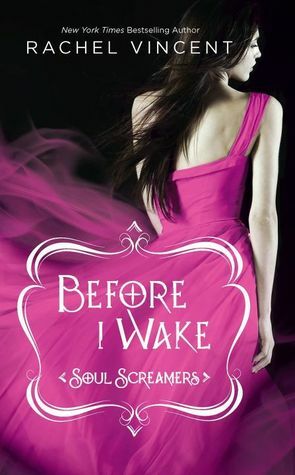 I have always loved Will and Tessa so I needed to spotlight them (side note: I love Will and Tessa, but honestly the most important relationship in this series is Will and Jem, but they aren't a "couple" so I couldn't feature them here haha). I love how Will and Tessa share a love of books and they speak the same language. They can read each other so well and I think they make a great pair. 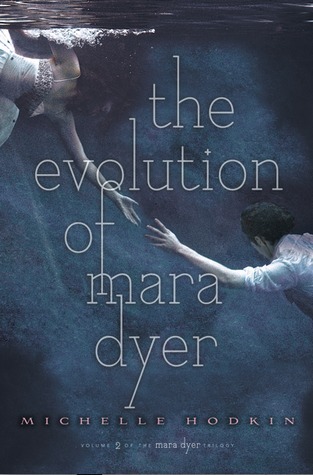 Noah and Mara (The Evolution of Mara Dyer by: Michelle Hodkin): I love the dynamic between these two! Their banter is some of my favorite ever! I love how far Noah goes for Mara. There really isn't much that can break these two and I love that while everything else is going crazy, they can be each others constant. 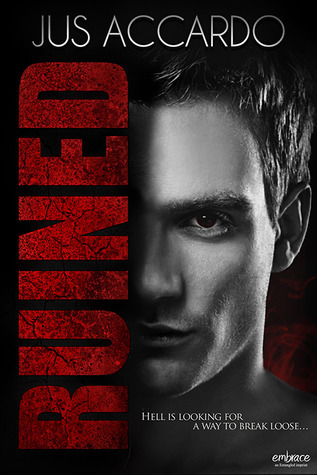 Aiden and Alex (Sentinel by: Jennifer L. Armentrout): I didn't want to feature one author more than once on each list, so I went back and forth for a long time on whether I wanted to feature Aiden/Alex or Daemon/Katy. In the end I decided to go with Aiden and Alex because we have their conclusion and I loved how their relationship progressed. I love these two because they stand on equal footing and are always willing to fight for one another. I love that they work together, but at the same time constantly want to protect each other. Will and Layken (This Girl by: Colleen Hoover): I love love LOVE Will and Layken. I love that these two found each other and that they made a life together, despite the horrible things that life has thrown at them. 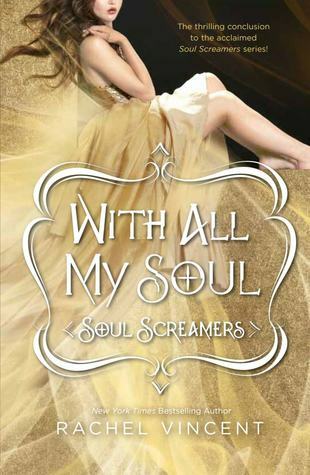 Tod and Kaylee (With All My Soul by: Rachel Vincent): LOVES THIS COUPLE! I always though Tod/Kaylee made more sense than Nash/Kaylee. I love how Kaylee can be herself with Tod, no reservations. Kaylee and Tod love each other completely. Tod will do anything for Kaylee and I love that devotion, especially because it goes both ways! Jesse and Rowen (Near & Far by: Nicole Williams): This is another book you will see a lot of this week! Jesse and Rowen are great together because they are so different yet so perfect for each other. They both have difficult pasts, but those pasts made them stronger in the end and brought them together. They aren't your typical couple but they make things work. "Our priorities aren't what we say they are. They're what we show they are." Gabe and Maddie (If You Leave by: Courtney Cole): I loved these two, so much more than I thought I would! They just worked so well together. I'm having trouble putting into words exactly what it is about them that I love, but I just loved their chemistry and the way they worked. Tod and Kaylee (Soul Screamers by: Rachel Vincent): Because Tod is so perfect and I guess if she makes him happy then they must be perfect together. They bring out the best in each other. Daemon and Katy (Lux Series by: Jennifer L. Armentrout): Daemon is such a smartass and him and Katy love each other despite all the nonsense, even when Daemon tried to pretend that he didn't love her. Will and Tessa (The Infernal Devices by: Cassandra Clare): I don't know if they become a couple or not, since I haven't finished the series but I don't care... I love them. 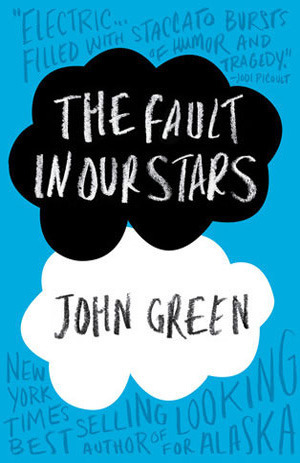 Augustus and Hazel (The Fault In Our Stars by: John Green): Despite all the bullsh*t they are going through, they are always there for each other and they make the best out of a crappy situation. They give each other a reason to fight. 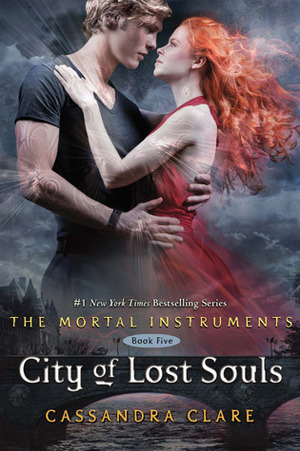 Isabelle and Simon (City of Lost Souls by: Cassandra Clare): Izzy is one of the best characters and despite her usual way with boys, she cares about Simon. Even though Simon can be oblivious, he cares about her too. Magnus and Alec (City of Lost Souls by: Cassandra Clare): They are my absolute favorite couple in the series. I love both of their characters so much and even though Magnus is being dumb, they are still my favorite. Cammie and Zach (United We Spy by: Ally Carter): I've loved Zach since he first showed up and despite having people constantly trying to kill them, they fight through it together. 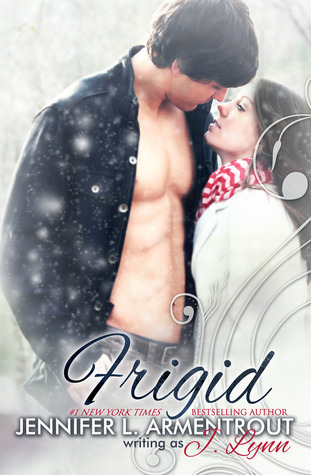 Kyler and Sydney (Frigid by: J. Lynn): I love them because they are the typical best friends who fall in love. Even before each of them realized it, they loved each other. Hunter and Serena (Obsession by: Jennifer L. Armentrout): They are such a unique couple because Hunter should want to kill her. 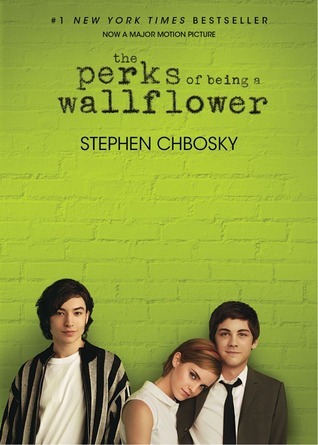 Charlie and Sam (The Perks of Being A Wallflower by: Stephen Chbosky): Even when they were just best friends, Sam was always there for Charlie while he was dealing with his problems. What were your favorite couples of 2013?